Complete puzzles to restore the fabric of time! The fabric of time has ruptured, causing precious artifacts throughout history to disappear! You must find the Object Tiles scattered across time to restore the creatures, objects, and people of our past… and our future. 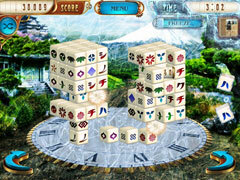 Complete puzzles in over 70 levels, from prehistoric times to the distant future. Use new power-ups like the Supernova Tile, as well as old favorites like Gem Tiles and Freeze Tiles. 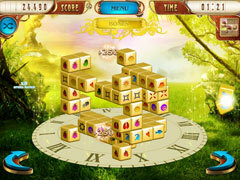 Try to beat the clock, or relax with Untimed Mode. 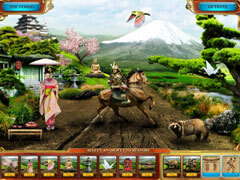 Play the anticipated sequel to the original Mahjongg Dimensions Deluxe today!